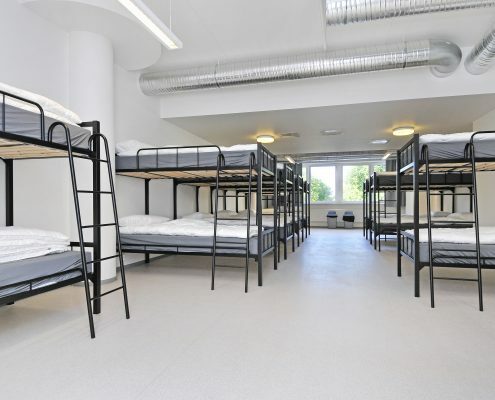 We have 137 rooms with over 400 beds. 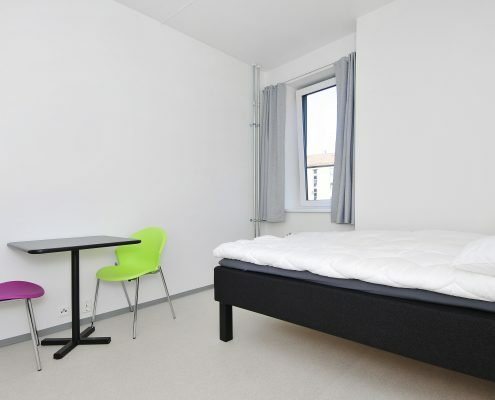 All single, twin, family, 6-bedded rooms (and even small dorms) have their own kitchenette. That means you can cook meals inside your own private room. In the same rooms, there’s a bathroom with shower, a sink, and WC. 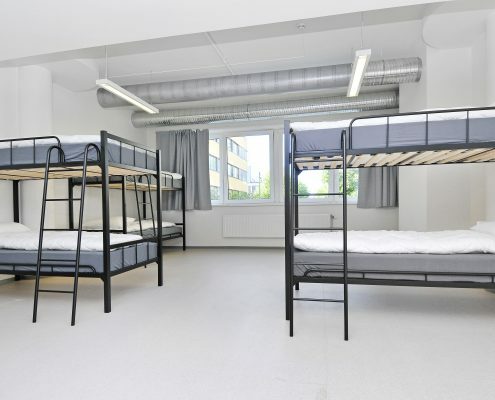 If you stay in a large dorm, there is a common kitchen in the corridor. 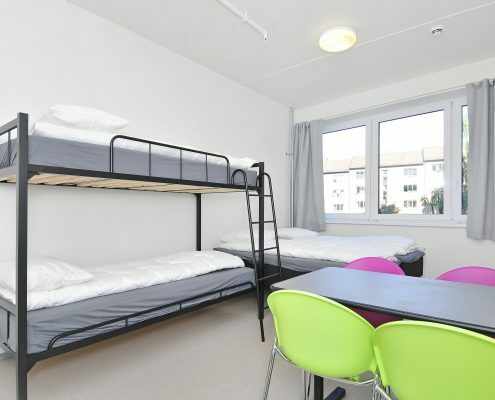 Within 20 metres you will also find showers and toilets. 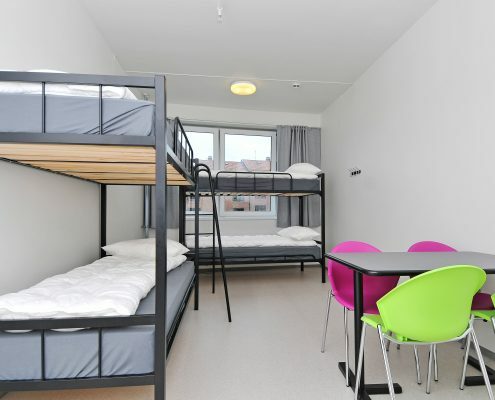 At Anker Apartment, you need to rent bed linen (50 NOK) and you can rent towel (20 NOK). 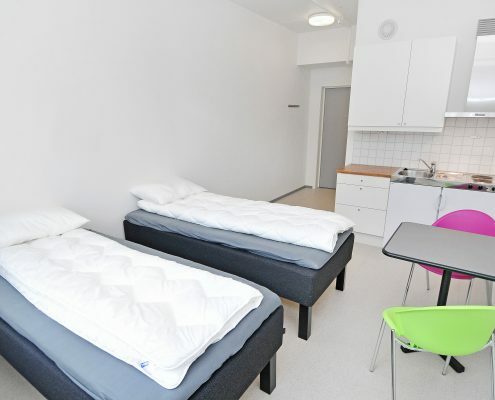 It is allowed to bring your own clean bed linen and towels, but no sleeping bags.